I grew up on the coast of New England constantly tromping through tide pools and investigating all of the moving things in these dioramas of the oceans. I was encouraged by my parents to keep a journal and list what I saw, how many, what they were doing, etc. This innate passion for marine life grew as I did and with inspiration from Jacques Cousteau and Eugenie Clark I devoured everything I could about marine life. Growing up in a house where art and science converged provided me with a rich environment to satiate my thirst for knowledge and think in creative ways about how we study, learn about, portray, and express our ideas about Nature. Once in college, my mentors taught me how to think, and how to think critically about science. Concurrent to this, I took a course in marine mammals at the Duke University Marine Lab and my life was changed. Here I was introduced to the anatomy and physiology and adaptations these remarkable animals have evolved for living and thriving in the marine environment. I soon enrolled in graduate school to learn about marine mammals from the inside out. In order to understand their behavior and ecology, I feel very strongly that you first need to understand how these animals are put together. This background has allowed me to think about ways in which we study the underwater behavior of marine mammals using a variety of methods. Similar to understanding the anatomy of these animals, in order to truly understand the behavior of these animals we have to think about the scales of time and space that are relevant to them. For example, a humpback whale migrates over 10,000 miles annually from tropical to polar waters and thus utilizes a huge area that spans many different ecosystems. And when they are feeding, they spend months foraging and traveling between areas with high levels of prey. And within these areas, the whales move from patch to patch, shallow and deep to find food. And within a foraging bout the whales locate patches and focus on those of greatest density. When they find a patch, they maneuver and behave in such a way to get the most prey possible. To me, understanding these decisions, and how whales are able to make a living in a harsh and vast ocean is amazing. One of the more difficult challenges to overcome when studying whales is how to know what they are doing below the surface where they spend more than 95% of their time. I was fortunate enough to come along at a time when engineers and biologists began collaborating to develop tags that track the underwater movement and behavior of marine mammals. I quickly found a path towards seeing below the surface and tracking the heretofore unknowns of whale behavior. Myself and my colleagues have spent the better part of the last 20 years tinkering with designs, testing sensors, and deploying tags on whales of all types around the world. And developing tools that we can use to decipher what the underwater movements of the animals mean and how they relate to different aspects of their environment. Specifically, how does the distribution of food affect how whales feed and how do different species of whale make a living? This work is a never-ending book that takes us down unknown paths and leads us to new ideas and more questions than we could possibly answer, but it also brings to light many of the threats that these animals face. Anthropogenic impacts, those that come from humans, are many and very real. 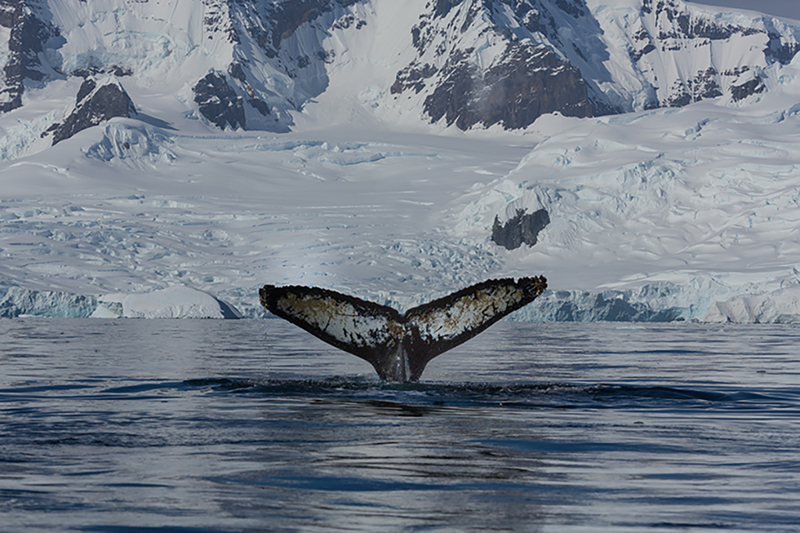 From climate change in the polar regions, to overfishing globally, to impacts of sonars and other sounds, to vulnerability to entanglement in fishing gear and ship strikes, many marine mammal populations are at risk. In order for us to understand the magnitude of these threats and adjust our behavior to mitigate the deleterious effects of our activities we first need to understand how whales behave and what their needs are. I hope that in some small way, the work that I have done will contribute to our knowledge of these ocean giants, whose presence in a particular place should be thought of as the coming together of disparate processes that promote productivity and create a healthy ocean. I also hope that the work I am doing will resonate with people and enhance their appreciation for the majesty of Nature and the heuristic value that wilderness has for our souls. I hope that people will be inspired to learn, to care, and to act to protect these animals and the oceans they live in so that they can be there for our children and their children, so that some day another inquisitive kid can wander around the tide pools and fall in love with the ocean. As mentioned above, my research program involves developing new tools to study marine mammals so that we can better understand and protect these animals and their habitats. I also take very seriously the role of an educator and try to do science and communicate it in a way that resonates beyond the scientific community and can be assimilated to broad audiences. Through visualization tools and different mediums for communication, my personal initiative is to make science accessible and part of as many people’s lives as possible in as many different ways as possible. There is no one way to love the ocean or marine mammals and I want to be able to give as many people as possible the opportunity to enjoy and be inspired by marine mammals and oceans. I believe this is important for two reasons. Firstly, I believe that there is value in Nature for Nature’s sake. There is value in having wild places and wild animals that we can see and study and learn from, that help us better appreciate and be part of our planet. Secondly, we have a responsibility and obligation to do the right thing and to correct the wrongs we have done and ensure that our actions do not threaten or endanger the lives of animals needlessly or thoughtlessly. 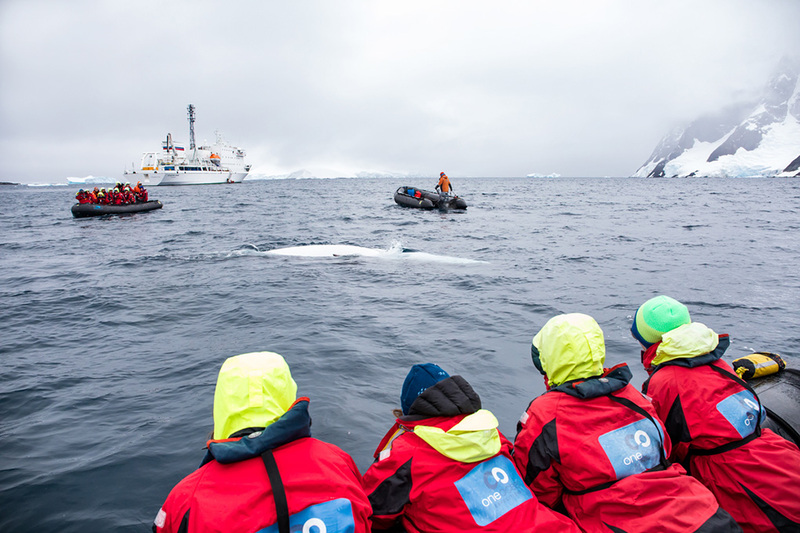 Based on my experience, largely from 20 years of working in the Antarctic and spending many trips alongside passengers on tour ships, the singular thing that will most quickly, easily, and irrevocably change people’s relationship with nature is to experience it first-hand. No person that visits Antarctica, looks into the eye of a curious penguin, seal or whale, and feels the true majesty of what nature feels like, can leave unchanged. With technological advances in how we study marine mammals and communicate our findings through video-recording tags, animations of underwater behavior, or video from drones, people can be brought into the lives of these animals and be inspired to both study and protect them. For people reading this, I would encourage you to get outside, find a local organization that is doing hands-on action to help protect a local environment or species. Become part of a movement, find a cause, be proactive about conservation. And if you have the means, travel and experience nature, support causes and individuals that are doing good work and fighting the good fight. There is no amount of support or time that is too small to make a difference. And be an example in your community, lead by this example and encourage others.